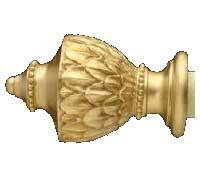 At Sheila’s in Crowfoot you will find a wide selection of drapery hardware from metal to wood. 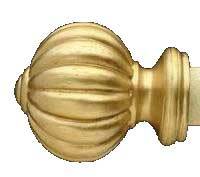 The depth or drapery hardware options will provide you the look you desire. 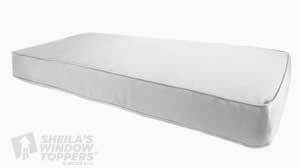 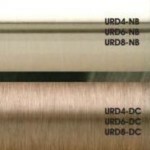 The quality of the materials you choose will infuse your draperies and sheers with unsurpassed beauty. 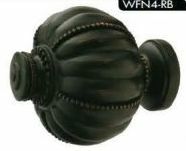 At Sheila’s in Crowfoot you will find a wide selection of drapery hardware including many rods and finials by Unique Fine Fabrics. 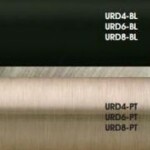 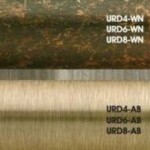 We carry metal and wood poles with rod sizes ranging from 1″ to 3″. 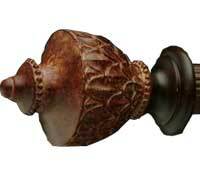 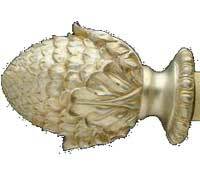 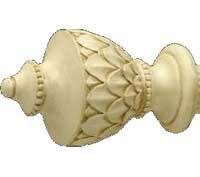 We offer finials from traditional to contemporary styling. 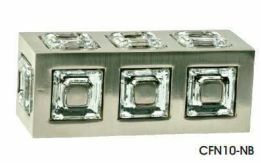 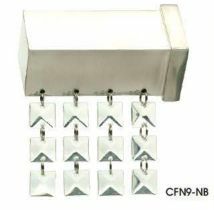 Various bracket and ring styles are also available. 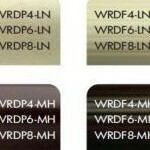 At Sheila’s you will find a variety of price points from good quality mid-range price points to higher end rods by Joanne Fabrics. 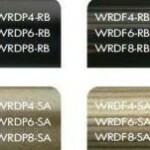 You can purchase just the rods or we will make custom draperies or curtains for your rods as well. 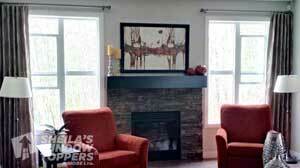 We are your Calgary Drapery Store! 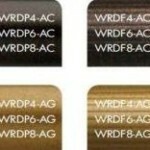 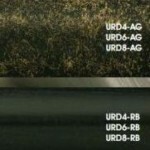 Rods are not kept in stock, orders placed normally arrive within a week to a week in a half. 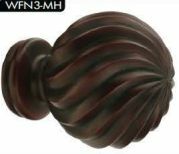 The Carlaw 1 1/2″ Rod Iron Collections is available as both a fluted or flat rod in eight metal finishes and a selection of eight finials in all colors. 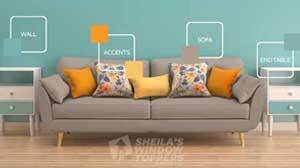 Samples can be viewed in our Showroom. 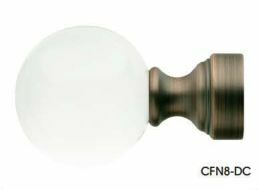 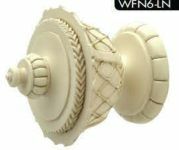 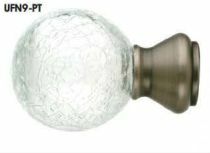 There is an endless array of finials and colors to select from, which will add a touch of elegance to your window treatment. 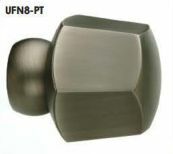 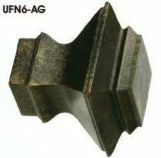 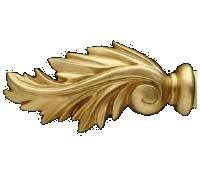 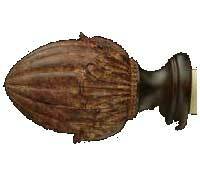 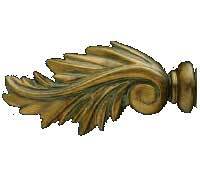 A lot of focus is being put into decorative hardware with rods & finials. 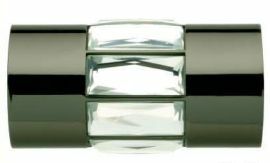 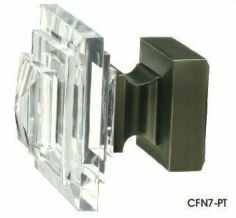 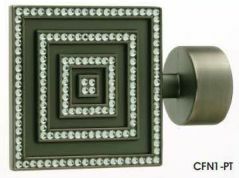 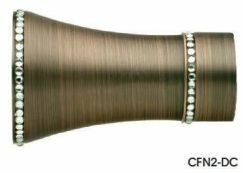 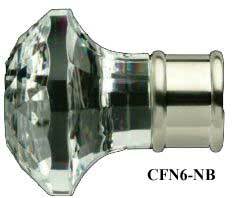 Rods & finials are being treated like the jewelry for your draperies or panels You can find rods & finials in metal, wood, glass, crystal and acrylic.